One of the most famous events in Chicago history, the Great Fire changed everything for the city. After starting mysteriously at the OLeary barn, the fire was swept north by the wind. The depleted city firefighters were still recovering from fighting large fires the night before. 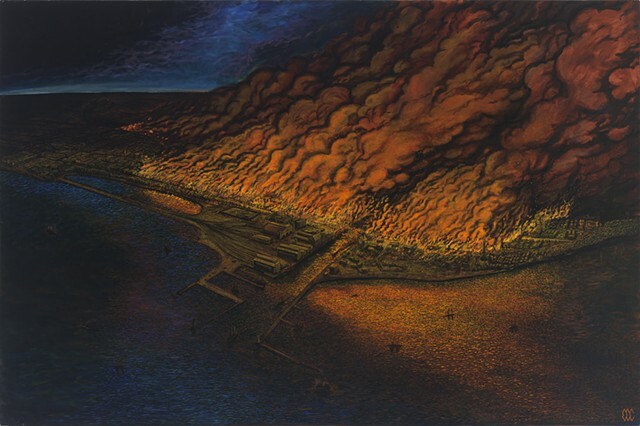 Jumping the river, the wooden city fed the fire for nearly two days. The fire reached across four square miles, causing 222 million dollars in property loss, leaving 100,000 people homeless and killing an estimated 300 people.